Black people: Are they the original inhabitants of Earth? This is good. Its the sort of information that needs to be shared out more. Too many people who have studied science think this is delusional. How sad!!! The greater question is why is knowledge like this being intentionally withheld and not taught to us? This is the other side of consciousness which traditional science refuses to examine properly. the properties of water and why it is of fundamental importance to life on this planet. Everything organic and what we determine as living is composed of water in some way. It is the only substance naturally occurring in all three states: Solid, Licquid and Gas. we are all interconnected and part of the same one consciousness. “…Yemaya is a magnificent aspect of the Divine Mother. She is primarily considered an African-Brazilian Goddess; yet she has followed her people to many far and distant ports. She has found a home on a variety of Caribbean Islands, including Cuba, Haiti, Trinidad, and in Central, South and North America. Yemaya was originally the Ogun River Goddess of the Yoruba in Nigeria. and was prayed to for fertility and for aid with childbirth. Yemaya traveled with her people on the slave ships, comforting them during their forced migration to the New World. Through this passage her role expanded to Mother Ocean, she evolved and adapted to support the needs and changes of her children. Today Yemaya is known by many names, Mother of Pearls, Mother Ocean, Stella Maris (Star of the Sea), Yeyé Omo Eja, which means Mother Whose Children Are the Fish, Mother of Dreams, Mother of Water, Mother of All, to name just a few. In Brazil, some of her followers consider Yemaya as a savior for having protected their ancestors during their voyage from Africa and honor her as their national goddess. In Haiti she is Agwe, Mother of the Sea, in Haitian Vodou, she is a Moon Goddess aligned with protecting mothers and children, in Trinidad she is a River Goddess and in New Orleans she is called La Balianne. Goddess Yemaya’s domain is water, rivers, and what is often considered the birthplace of all of life on earth – the oceans and the seas. She is specifically associated with the upper part of the ocean, which contains the most life. Her first gift was a shell so that her people would always be able to hear her voice. Her name Mother Whose Children are the Fish, denotes that her children are countless and further relates her infinite and all encompassing life giving aspect. the six-pointed star, pearls, cowrie shells, mother of pearl, sea shells, silver, Mother Mary, mermaids, the full moon, the crescent moon, white flowers, the number 7, and the colors blue and white. Yemaya is typically depicted as a mermaid or as a beautiful woman emerging from the sea – often with pearls pouring from her palms. She is sometimes referenced as wearing seven skirts of blue and white. A Goddess of the New Year, she is celebrated in Brazil on New Year’s Eve with candles, flowers, food and a variety of other offerings, people gather on the shore petitioning the Goddess to grant their wishes and to bring them blessings for the New Year. Yemaya is also celebrated in Brazil on the Summer Solstice and other celebration days include February 2, September 7 and September 9. Offerings typically include flowers, soap, perfume, yams, grains, melons, shells, and jewelry. Note: We believe that any offering made with loving intent is recognized and accepted, and we suggest if making an offering to Yemaya through the ocean, river or any body of water, to use that which is echo-friendly. She Who Gives Birth to All of Life, Yemaya is aligned with the power of creation flowing through all that is. In this aspect, she assists with remembering, reclaiming and activating our own innate creative power, realizing our true and natural ability to create and experience magnificence within our life. This Mother Goddess brings the blessings of new energy, new creativity, new opportunities and new experiences. Yemaya also lovingly assists and supports the rebirthing process, cleansing and purifying the old energy, releasing that which has served its purpose, allowing for renewal and new beginnings. If invited, Yemaya will relieve the stress and strain of stagnation and will clear any blocked energy, bringing the blessings of smooth, fluid movement, providing realignment with the Divine Flow of the Universe. Within this energy, the Goddess helps us realize our natural flow, experience smooth, steady progress and as the river ultimately flows into the sea, we will naturally flow unto the realization of ultimate success. Goddess Yemaya reminds us that to exist is to be in a constant state of change, everything is constantly adapting, changing and evolving. If requested, she will help remove resistance to change, helping us to adapt when necessary, helping us to embrace our natural evolution so that we may realize and experience the true essence of our ever ascending consciousness. She is a tremendous ally to those involved in ocean conservation and to those who are active in protecting ocean inhabitants (i.e. dolphins, whales, seals, fish, etc.) Goddess Yemaya will provide protective and loving guardianship for sailors, scuba divers and any who venture out into the ocean who petition her protection and show honor and respect for the sea. She will also act as a liaison for those interested in connecting with the magical realm of mermaids. Call upon Yemaya to provide platforms for positive interactions with mermaids, sea sprites and water spirits. as well as people. 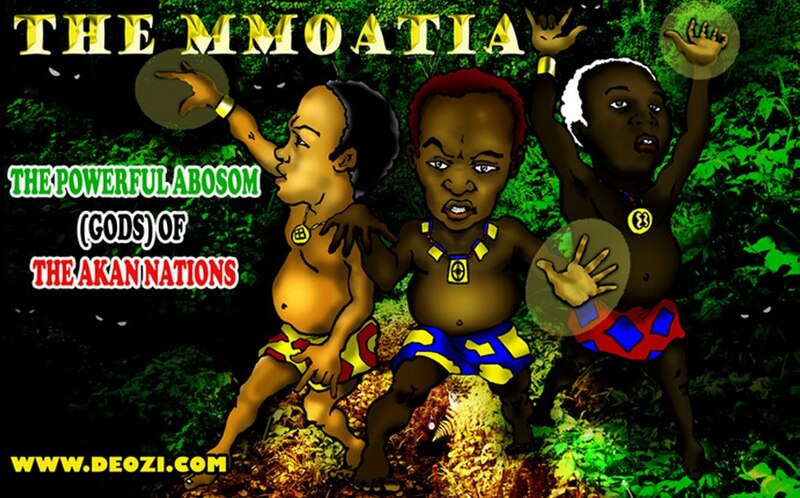 The names of these Abosom are MMOATIA/MMOETIA They are said to be little people who dwell in the rainforests and are quite proficient in the use of herbs. They specialise in working with nature spirits for healing body, mind and spirit and to address personal, family, social, and environmental issues. They can be playful, mischievous generally, or very cruel to evil-doers and those who try to ignore them. They are considered the spiritual gatekeepers.The Abosom are the divine forces of Nature in the Akan system. The divine forces can be found under different names throughout Africa including Neter (Kemet) and Orisha (Yoruba). Explaining in basic science terms the nature of solid and illusory reality we experience. And how our thoughts and emotions play a vital role in structuring this. Dr Mitchell Gibson speaks about hidden spiritual ritual magic and how it works. But more importantly why traditional religious worshiping can keep you in the dark – literally – forever wondering why all your prayers always seem to go unanswered…A fascinating insight! Richard Alan Miller — Physicist, Princeton, MIT, Emeritus Professor — US NAVY SEAL Trainer, Explorer of State of Consciousness, X-Files contributor, Farmer. 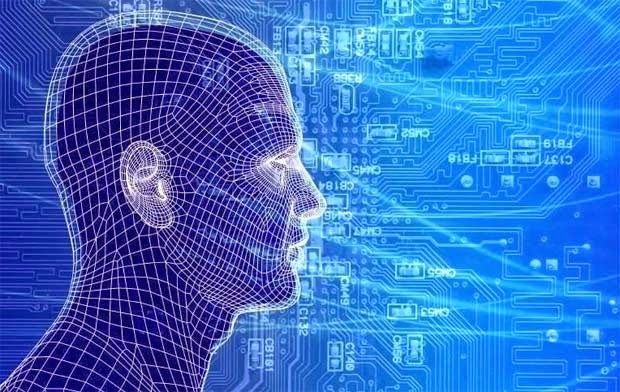 An excellent and fascinating interview with a scientist who speaks fluidly about “consciousness”, “space-time” and basic scientific techniques he discovered and taught to the military for enhancing and developing their personal state of consciousness. “…The Three Illusions – First discussed in Laurence LaShan monumental work “The Medium, The Mystic, and the Physicist,” the physical universe is associated with our ordinary states of consciousness, and does not represent ultimate reality. Ultimate reality is also outside time, as it is outside space. 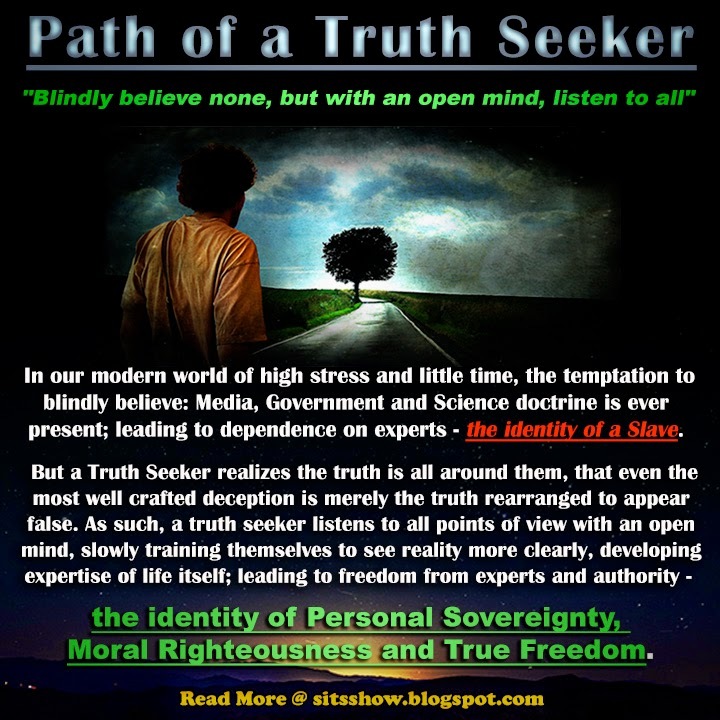 An excellent talk by Stewart Swerdlow…Much of the information explored in this blog is articulated in this talk along with detailed explanations and historical accounts of the government and shadow governments involvement with technological devices, and occult activities. Marimba Ani conclusively shows the unspoken assumptions of Western cosmology and intellectual thought; shows how the de-emotionalized rationality which – following Plato – it enshrines permeates every pore of thought, action, ideology, aesthetics and morality; and comprehensively explicates the social process that is the westernization of the world. Not only, however, is this a first-rate deconstruction of the western mindset – Marimba Ani shows with painstaking examples throughout history the inevitability of the current environmental degradation, as following directly from that mindset of rational assumptions, and shows the inevitability of environmental and human disaster unless a more emotional, spiritual means of existence is found. This is a book that really must be read by everyone – white, black, brown and yellow (I am Jewish and white) – as a means to understand where we can possibly go from here. It has the key to the past, and the future. The interesting thing about this recent (Nov 2012) detailed and in-depth presentation by David Icke is that most people will never probably get to hear all of it – unless they purposely make the effort – and you won’t get the full information if you don’t. The full revelations provided here are simply that revelations and perspectives you will not get any where else and are unlikely to have come across before. To say much of this information is hidden is an understatement. the “program” were already in that’s artificially running is so strong its difficult to break out of without some help. The following News Live video (Exoplitics.com Alfred Webre) provides corroborative analysis for the: Saturn/Moon Matrix as Mind Control Platform for Earth David Icke breaks down extensively in his 9hr presentation. 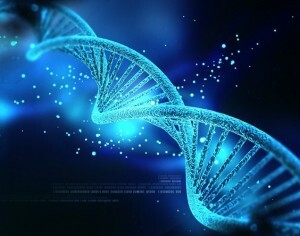 “…DNA Activation is a reconnection of your original blueprints for life to a higher degree, and as you continue on your path of life you will connect yourself back to yourself deeper and deeper. The Answer of course lies in the connections made within the sacred space of the heart, which can be accessed by breathing, focusing on your heart (Organ & Chakra), and practicing unconditional love of ALL. This is the lie we are continually told that our DNA is fixed due to hereditary and controls our life. This renders us victims powerless to make changes and subject to the genius of scientists to eliminate the inherited errors in our DNA? Not true! Unless of course you choose to buy into such limitations.. In reality, a person’s perception, not genetic programming, is what spurs all action in the body. It is actually our beliefs that select our genes, that select our behavior. “…Tells the story of Wilhelm Reich’s life & discoveries, and ultimate demise. He was able to document a cosmic life energy he called Orgone. Amongst his discoveries were Orgone energy was the Orgone energy accumulator that was used to reverse cancer. And also a device called the cloudbuster which could create or disperse clouds and create rain. The Fact is this is a natural energy which we all have. Some martial artists call it “Chi Energy” and we have all seen what that can do. Native American’s performed “rain dances” to bring about rain in times of drought. A simple accumulation and direction of the same natural energy source. “…The science delusion is the belief that science already understands the nature of reality, in principle. The fundamental questions are answered, leaving only the details to be filled in. The impressive achievements of science seemed to support this confident attitude. But recent research has revealed unexpected problems at the heart of physics, cosmology, biology, medicine and psychology. Dr Rupert Sheldrake shows how the sciences are being constricted by assumptions that have hardened into dogmas. Should science be a belief-system, or a realm of enquiry? Sheldrake argues that science would be better off without its dogmas: freer, more interesting and more fun. “…While physics is the study of physical reality, metaphysics includes that which is beyond the physical, but not necessarily the spiritual. Spiritual metaphysics takes an entirely different orientation. Spiritual metaphysics sees an ultimate, metaphysical source of all creation as the basis of reality. “…This is the first segment of David Talbott’s recent talk at the annual meeting of the Natural Philosophy Alliance, University of Maryland, July 10-13, 2013. Is it possible that the foundational assumptions of the theoretical sciences all express a common misunderstanding—the idea that gravity alone, seen through the lens of general relativity, rules the cosmos? From cosmology, the “queen of the sciences,” a core dogma of the 20th century filtered down through every discipline, constraining our ideas about galaxy and star formation and ultimately (from the same underlying assumptions) all of the space sciences, infecting our views of earth history and even our sense of what it means to be human. Dispelling this most common misconception has become the essential requirement for scientific progress. “…This visually-stunning documentary is inspired, in part by the work of Robert Lanza, MD a leading scientist in stem cell research and the author of numerous scientific books, including one on his Theory of Everything,’Biocentrism,’ which states that life and biology are central to being, reality and the Cosmos: Life creates the universe, rather than the other way around. Biocentrism asserts that current theories of the physical world do not work, and can never be made to work, until they fully account for life and consciousness. When confronted with views opposing our own, our brains become flooded with the same chemicals as those released to ensure our survival in dangerous situations. “…If we look at the world and examine it on a collective level, what do we see? How do we perceive it? Right now, the masses perceive it as being born, going to school, paying bills, raising a family and finding a “job” within the current paradigm to support yourself. No judgement here, but many people on the planet are not resonating with this experience. They want change. We’ve been repeating and perceiving our reality this way for a very long time, with very little information about what is really happening on and to our planet. It’s almost like we are robotic drones that are trained and brainwashed to accept things the way they are. To not question what is happening in our world and to continue on with the status quo, only caring for ourselves and our own lives. As Noam Chomsky would say, our consent has been manufactured. “…A Russian scientist has been studying the human energy field and is claiming that people can change the world simply by using their own energy. when we think positive and negative thoughts, each have a different impact on our surrounding environment. This is precisely what the perspectives on this blog are all about. Its the study of consciousness and subjects like Metaphysics which reveal the REAL fundamental and basic nature of the reality we daily experience. Once we understand this connection we can then all collectively begin to play our own respective roles in helping to shape the world in which we are ALL a part of. – There are NO EXCEPTIONS! The fact that the human body is made of 70% water, our thoughts can have profound implications on our health and the well-being of the planet. “…William Buhlman, best-selling author, teacher, and leading expert on the subject of out-of-body experiences, presented the keynote address at the 2014 Professional Seminar at The Monroe Institute. He described how OBEs can prepare us for an enlightened transition and why self-initiated OBEs are a direct and powerful spiritual path. He also explored an overview of the many methods available to effectively initiate OBEs and navigate the nonphysical realities. How our own emotions and energy states can be used to work for us or against us. Instead most of us walk round in ignorance allowing these same vibrations to be used against us. Then we wonder How? or Why? we feel a certain way? This is a great introduction and excellent presentation. Its an area I have personally experienced but would love to experience more of. Its also the proof, if ever any were needed, of the immortal aspect of our non-physical consciousness or spiritual self. The part science and atheists would like to deny or remain profoundly ignorant of. However, Even they too would have experienced this realm every night when they sleep – Just like everyone does! Just because they don’t remember doesn’t mean it isn’t happening! The action of dis-believing plays an obvious role here. If we accept that thoughts respond to create the reality we prefer in these higher dimensions. Why wouldn’t they also apply lower down in the 3rd? An excellent short 3 min video that questions and examines the predominant state of consciousness – mindset – we are all schooled into accepting as a way of life in Western society. Anyway….Anyone up for a drink later? “…How old is water? We often like to imagine that shortly after the earth solidified in its creation to be this rocky ball orbiting the sun, water came to be on this planet. It predates all biological life on earth, in fact – it paved the way for life to emerge. It is through water that biological life formed. In order to understand how Psi works, we must first understand how our Mind and Body relate to the Spiritual aspect of ourselves. We will look at 3 phases of reality manifestation as described by Dewey B Larson’s Reciprocal Systems Theory (See previous comment): the Material Sector – Body (space-time below the speed of light), the Cosmic Sector – Mind (time-space above the speed of light) and the Metaphysical Sector – Spirit (beyond the space-time time-space regions, what Dewey calls Sector 3 or the Control Sector). Our living organism is comprised of 3 aspects operative in each region. As life evolves, and becomes more coherent (organized), it expands into each sector, with Sector 3 gaining more overcontrol on sectors 1 and 2. Our bodies are the material aspects of ourselves, and act as a boundary condition for the Minds activities. The Material Sector operates within 3 dimensions of Space and 1 dimension of Time, which we experience as a constant flow of time. 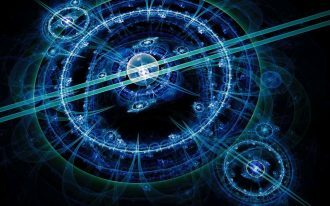 The Cosmic Sector operates within 3 dimensions of Time and 1 dimension of Space, experienced within the mind as remembrance, revery, insight, intuition and imagination; which can be navigated from a fixed physical location. We can imagine anytime in our past, present and potential future – without having to physically move our bodies, this is motion in time which appears as a static physical location in space. Like a lot of things about this reality we experience, linear time is simply a very convincing illusion. It is an illusion created by consciousness. In fact, so is “space”. Closely related to the idea of “time” is the notion of “linear causality” — A causes B causes C. This notion is also just a very convincing illusion. What this presentation does is amazing! It breaks down and allows us to imagine just how illusory our perceptions of physical reality are. They are simply decoded electrical impulses in our brains! In fact all the inputs into our brain whether they come from our eyes, ears, touch, taste or smell are transferred in the same way: Electrical impulses into the dark centres of the brain. Its these electrical impulses which are then interpreted and decoded into pictures or sensations and distributed throughout the body/organs. We deceive ourselves into believing that the images and sensations we feel are coming from the objects or effects we perceive in front of us when in reality and truth they are coming directly from the executed programmed results of our brains! This is analogous to a computer generated Virtual Reality show – a Hologram – which is indeed created in the same way. 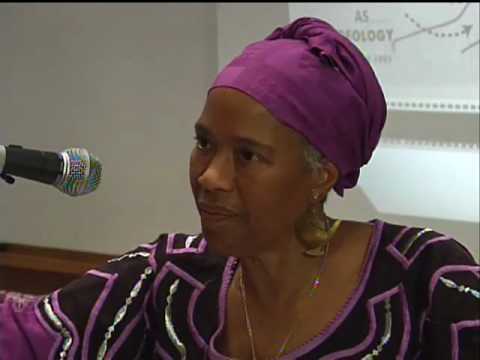 NextBlack people: Are they the original inhabitants of Earth?